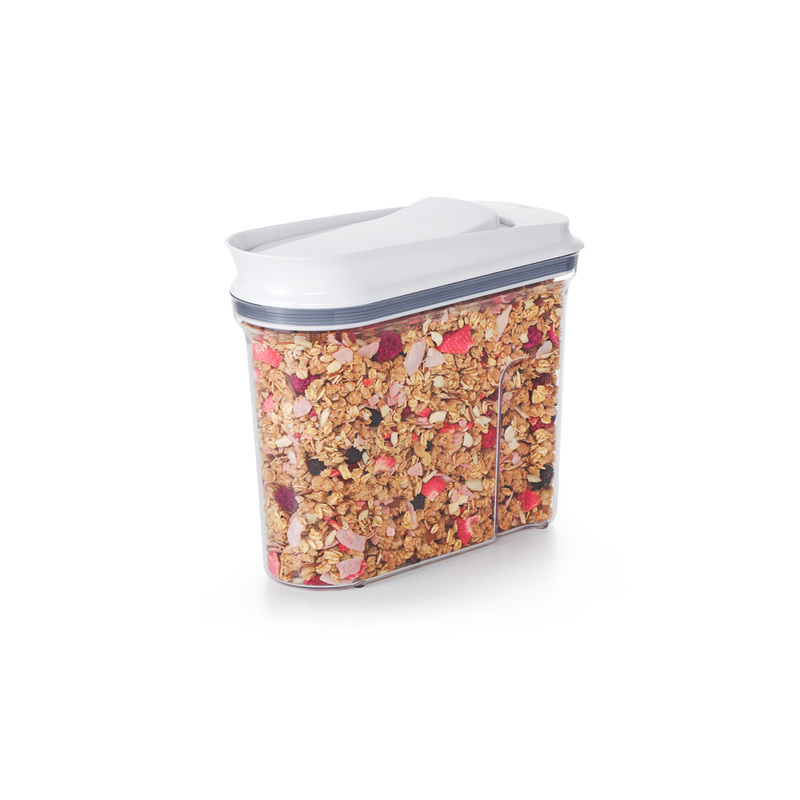 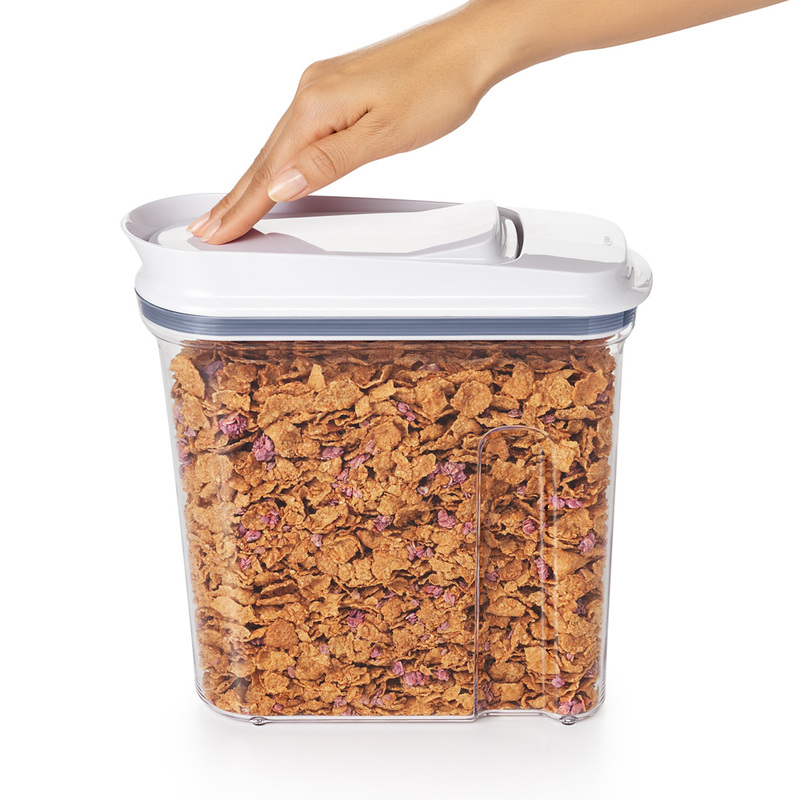 Airtight silicone seals keep cereal, granola or snacks fresh. 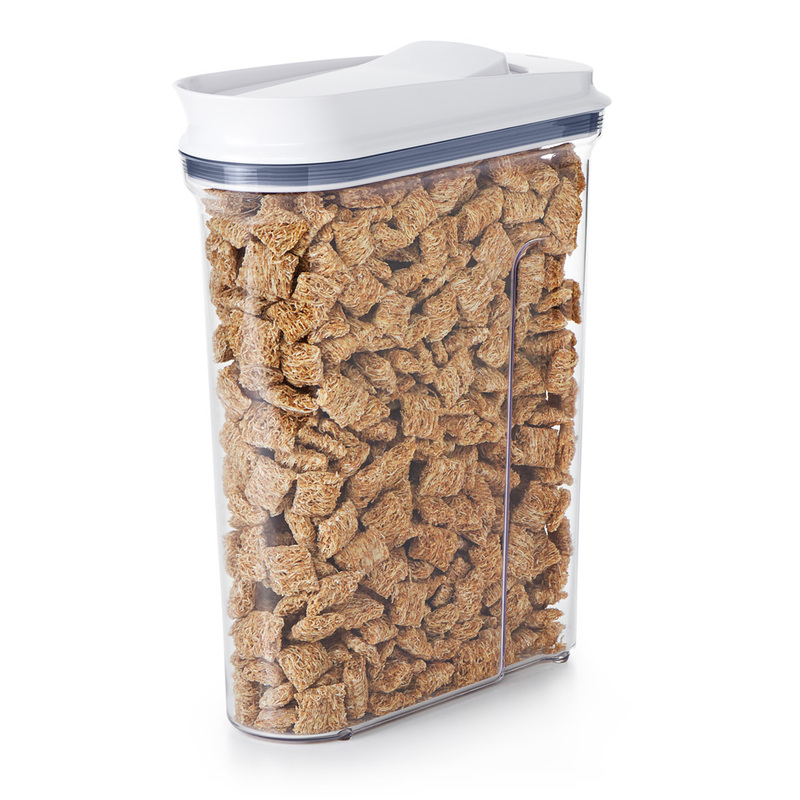 The OXO POP Cereal Dispensers feature pop-open lids for one-handed opening and closing. 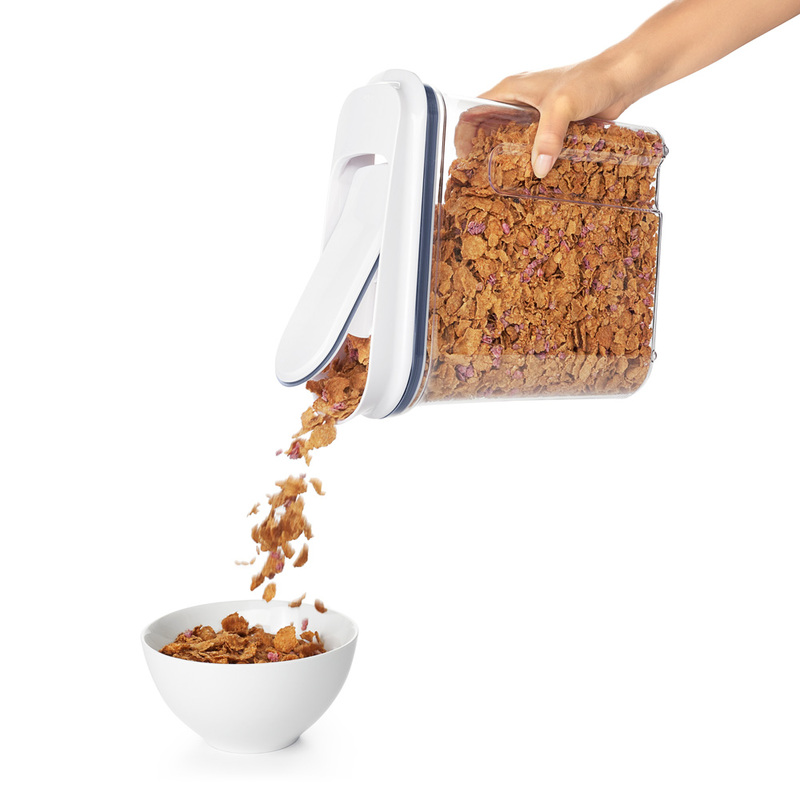 The smooth-pour spout is designed to prevent messy spills. 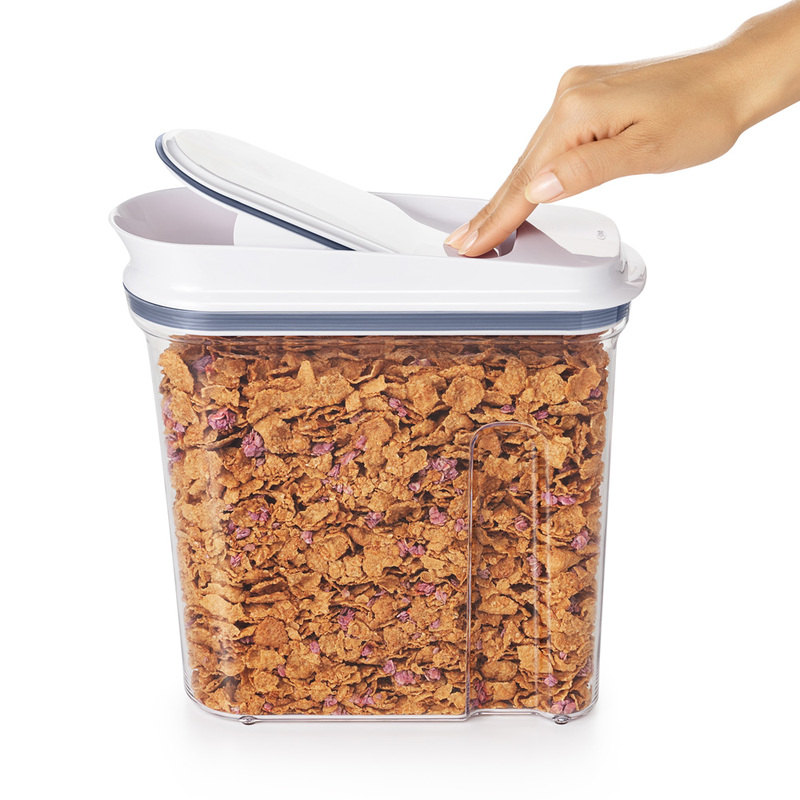 Contoured for a comfortable hold, even when full. 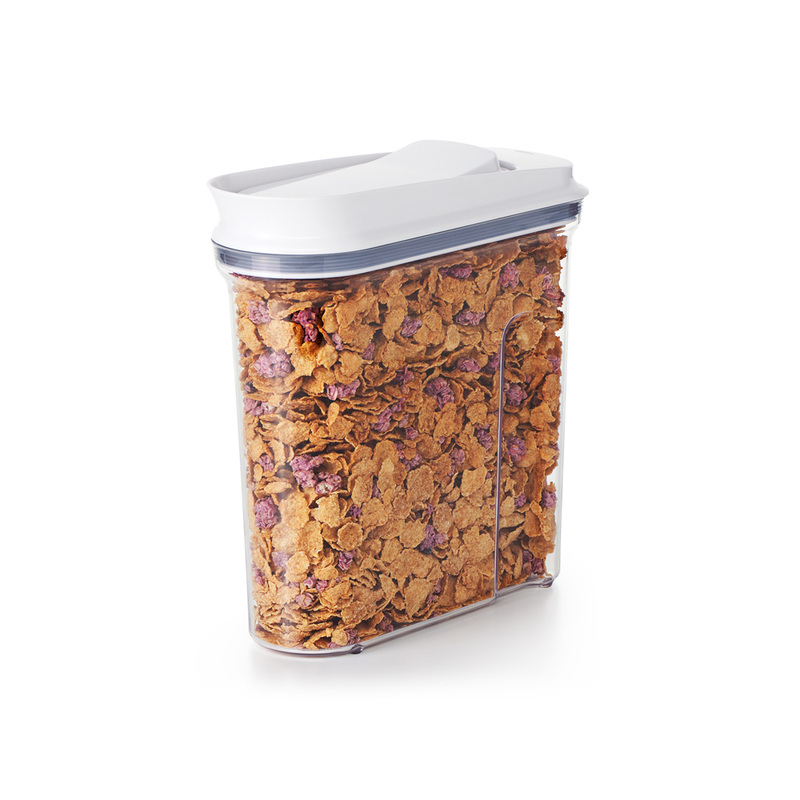 Shaped for efficient storage on countertops or in cabinets.